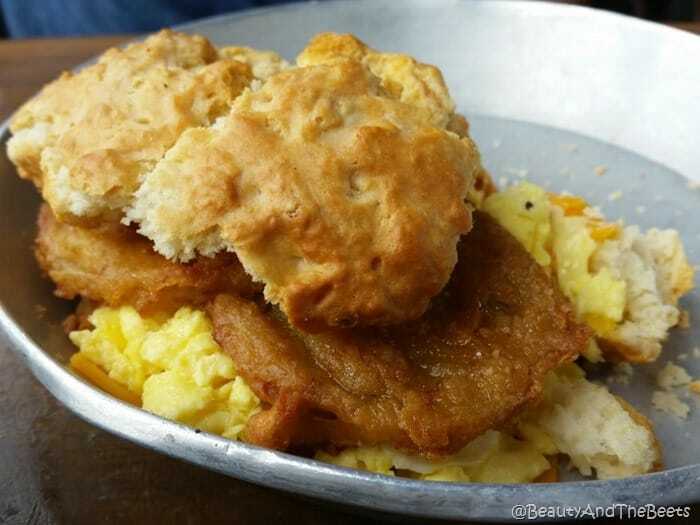 Biscuit Head came highly recommended by several friends who have visited Asheville before. 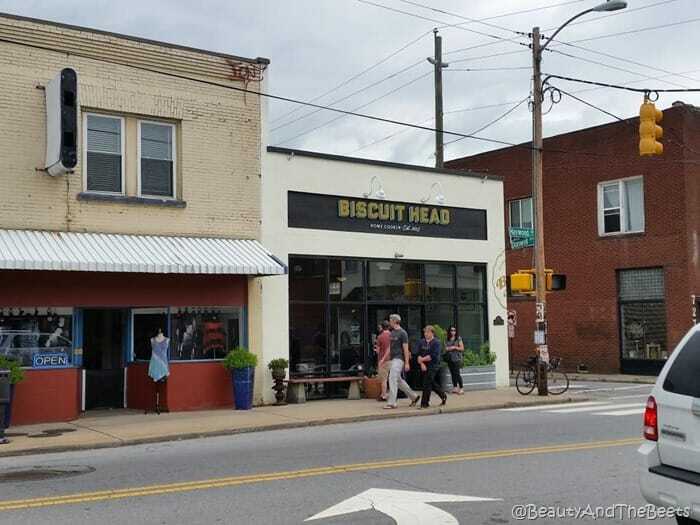 And when we pulled up to the restaurant, we realized that Biscuit Head came highly recommended by many people to many people. There was quite a line. However, the line moved quickly and it gave me a chance to make a decision on the menu. Perhaps what impressed me most was the biscuits and Vegetarian gravies. 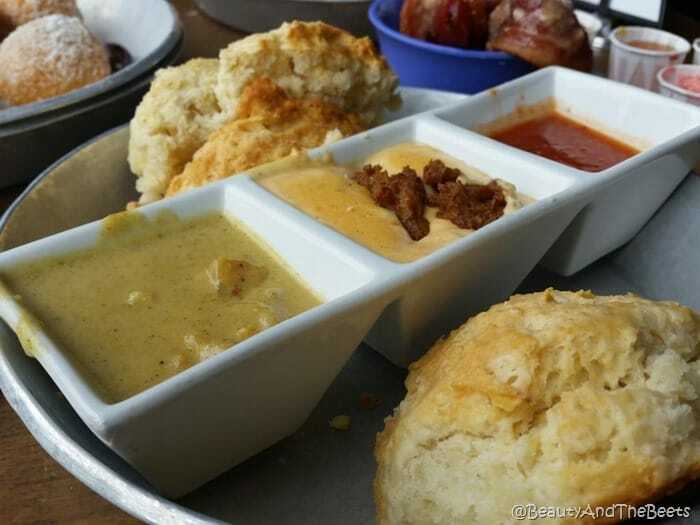 A flight of three gravies – an Espresso Red Eye gravy, Sweet Potato Coconut gravy, and a house made “veggie” chorizo gravy. All three were amazing. 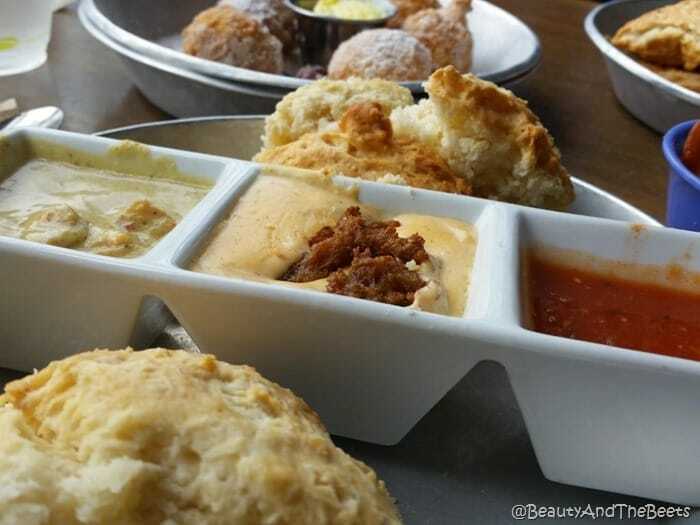 The biscuits are cooked fresh and served hot. Super delicious. 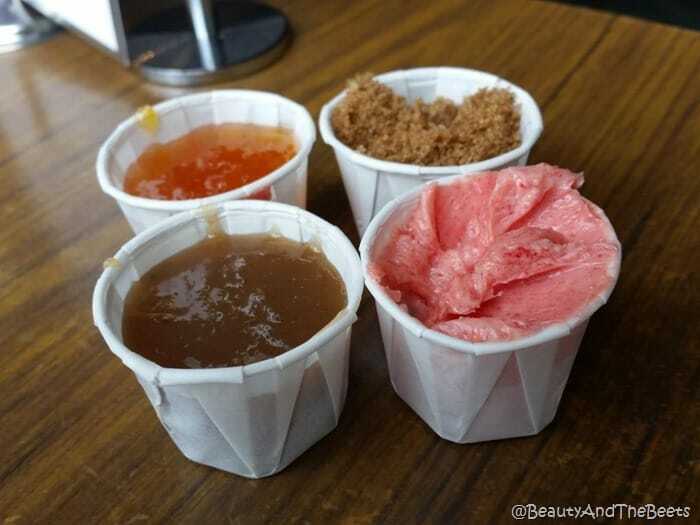 Also impressive is the condiment bar with butters like fruit punch and strawberry, jams like tomato and bananas foster, and a wide variety of honey and hot sauces. 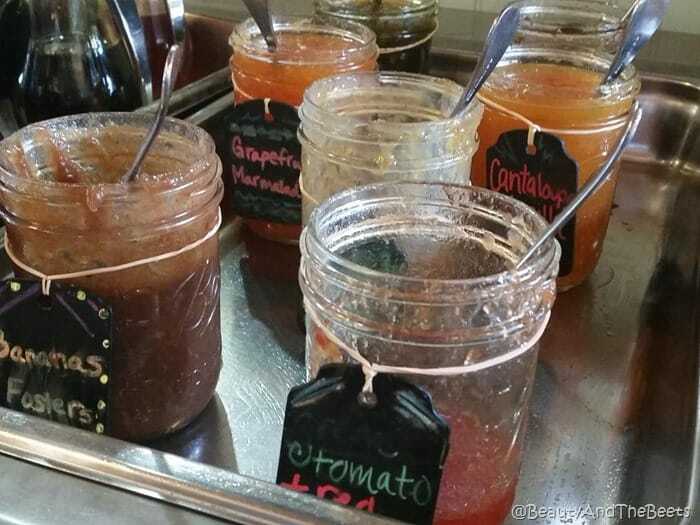 There are enough varieties to have something different every visit for a month. Mr. Beet loved his Biscuit sandwich with fried green tomatoes and eggs. 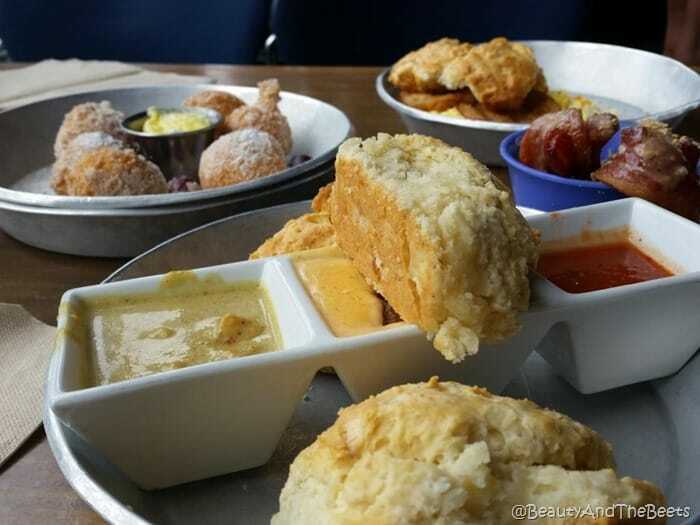 Fried green tomatoes are a true Southern staple and Biscuit Head does them well. 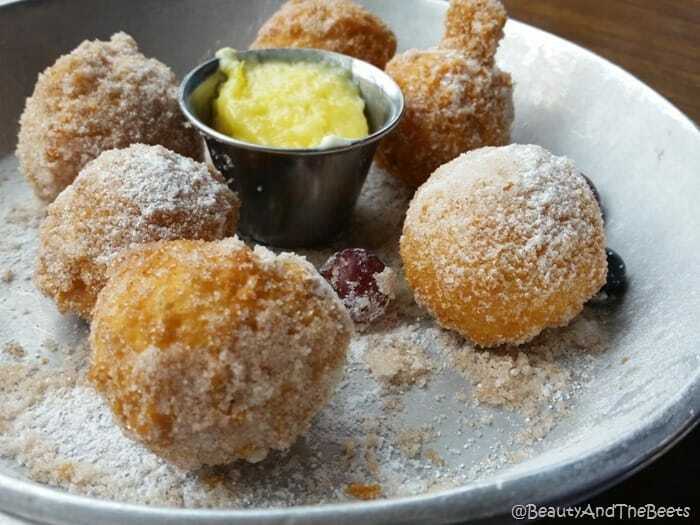 We also splurged on the biscuit donuts tossed in sugar and served with lemon curd. Probably my favorite dish there because you can put lemon curd on anything and I will be a fan. 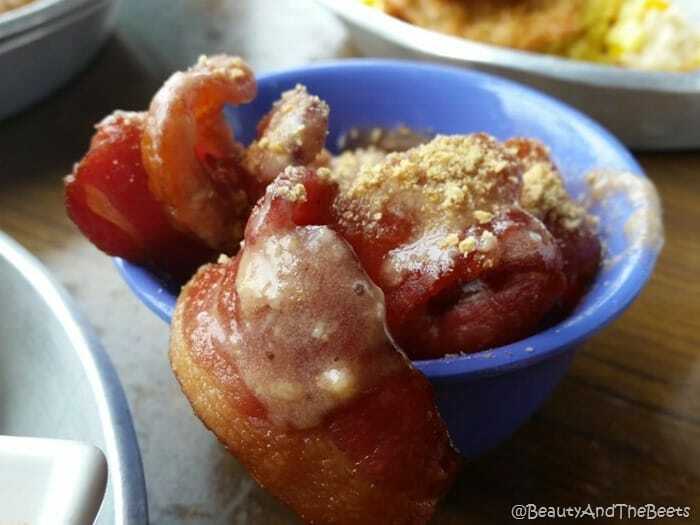 Daily specials include the bacon flavor of the day – in this case it was N.Y. Strawberry Cheesecake. It was interesting. Really just thick cut bacon with the flavor sprinkled on. 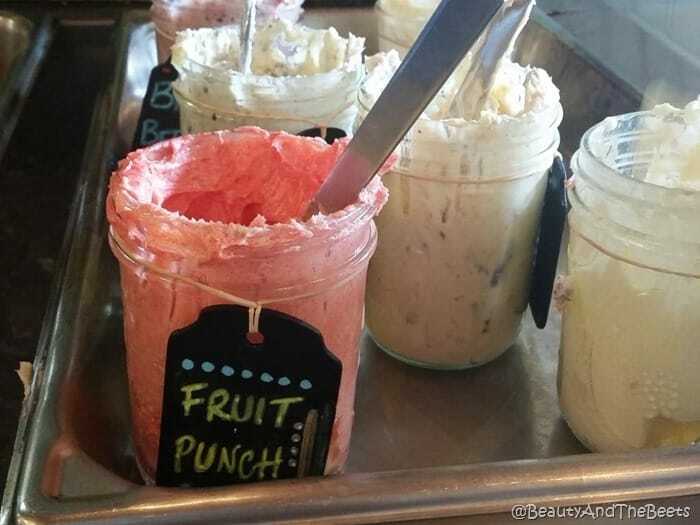 I didn’t really get the cheesecake flavor but it was creative. 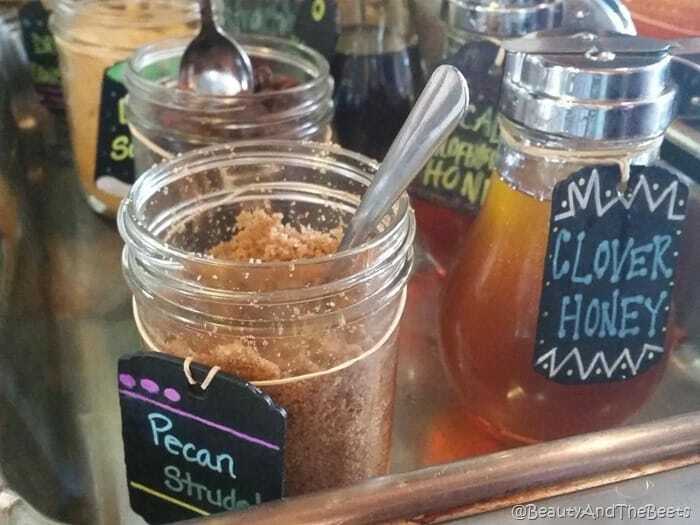 So don’t be alarmed when you see the line wrapped around the block, especially on the weekends. The line moves quite quickly. 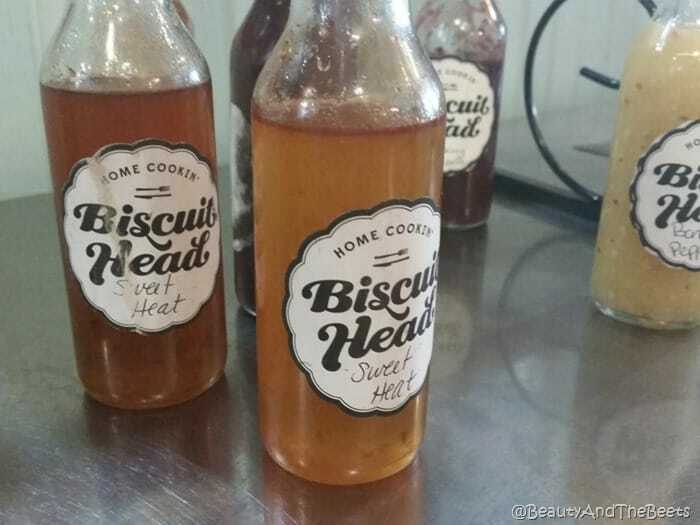 It’s easy to see why Biscuit Head is a favorite among locals and tourists. There are currently two locations in Asheville with a third opening soon in Greenville, South Carolina. 5 out of 5 sprouts.